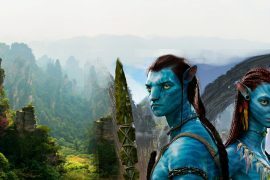 Who hasn’t longed to walk the lands of the Greek gods and sail the seas they conquered? 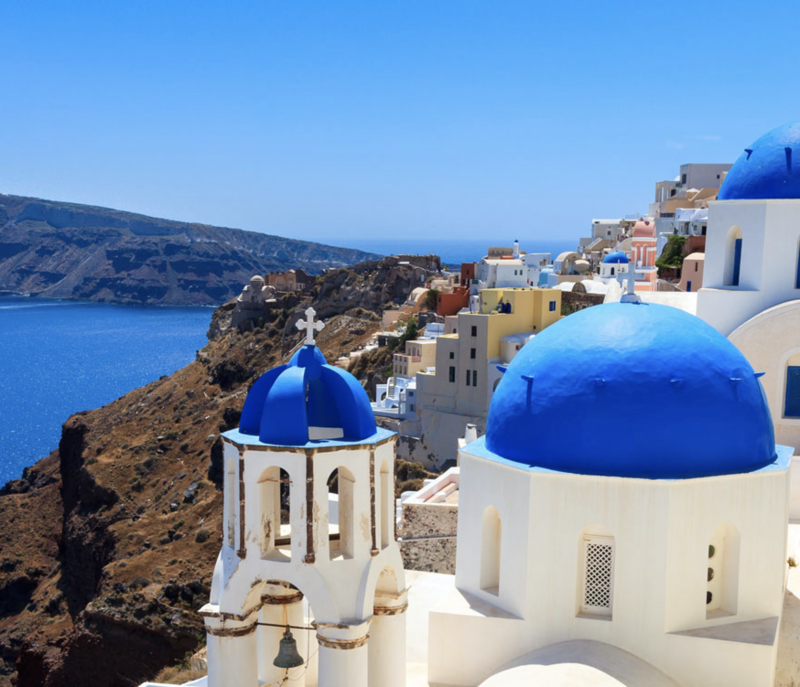 We’ve sent dozens of cruise groups to Greece, but this land tour is truly special. 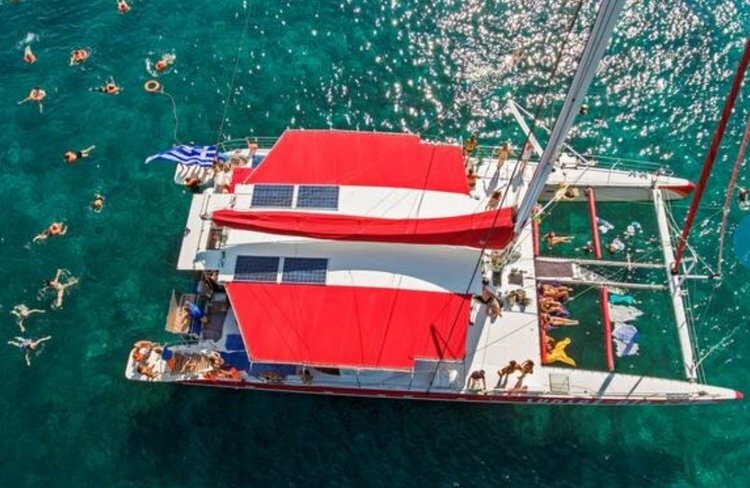 It’s time now to mix it up and do it right with longer time for exploration and rejuvenation on the absolute best of the Greeks Isles – on land by highspeed hydrofoils! This is truly a Bucket List adventure. Here’s the cradle of western civilization with ancient wonders, lively tavernas, sun-kissed beaches and a true spirit of Greek hospitality. 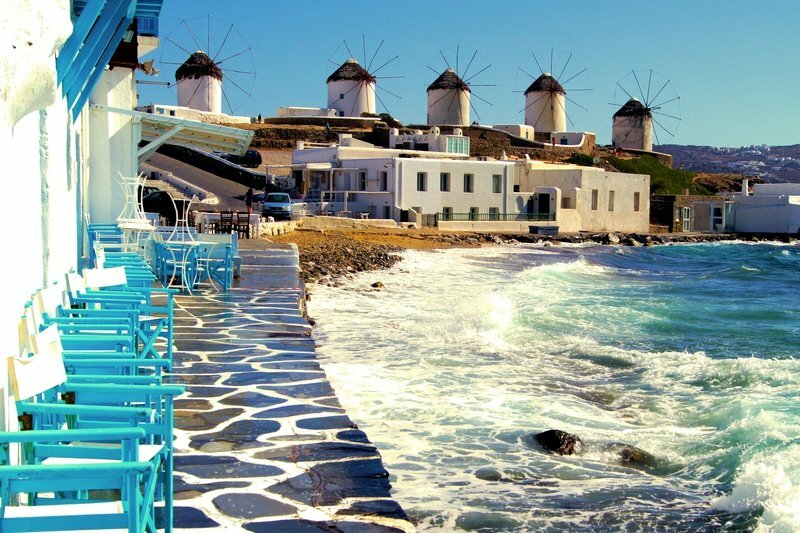 Come hydrofoil across the glittering Aegean Sea to islands where the towns painted completely white, juxtaposed against the bluest blue waters you can imagine. If you’ve longed to visit these isles, you’ll actually get to spend time exploring them and making them your own. 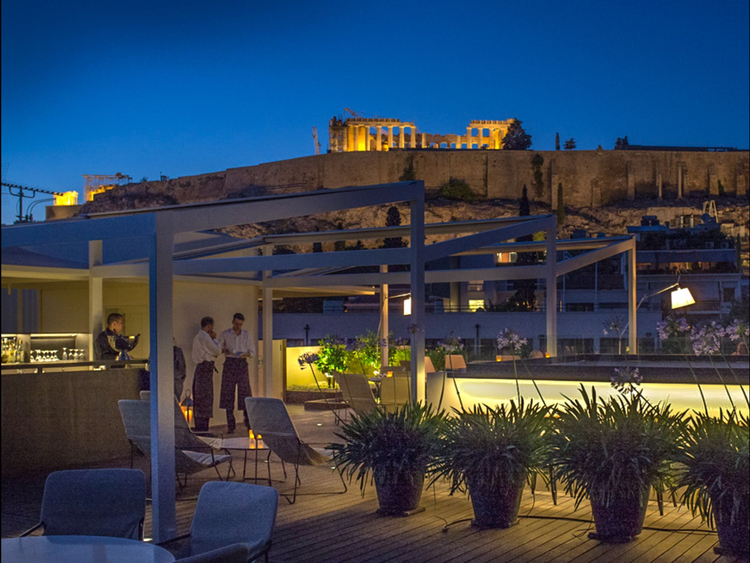 Our quest for the Ultimate Greek experience begins in glorious Athens, taking in the iconic sites – from the first Olympic stadium and the pom-pom shoed guards of Parliament, to the crowning glory of the Parthenon high atop the Acropolis. Then, it’s on to trendy Mykonos, to be greeted by the island mascot Petrus, the pelican. 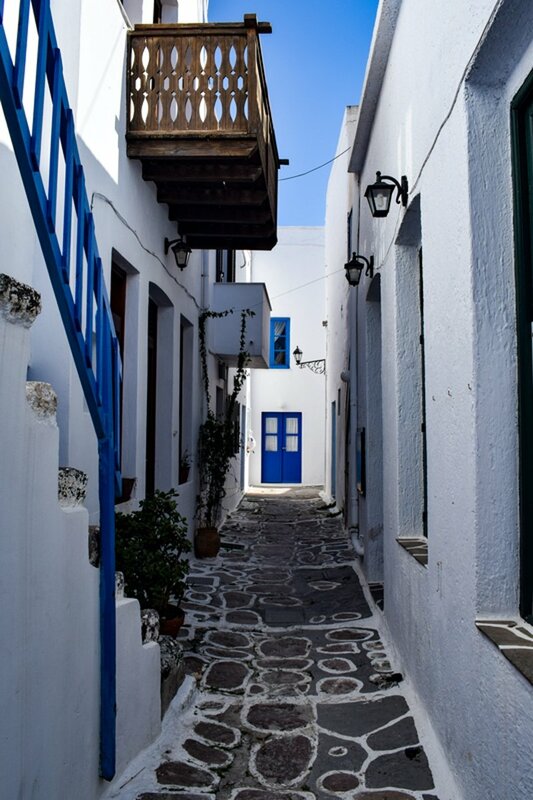 It’s easy to see why this island is called “Little Venice” with its clusters of houses along the azure waterfront. 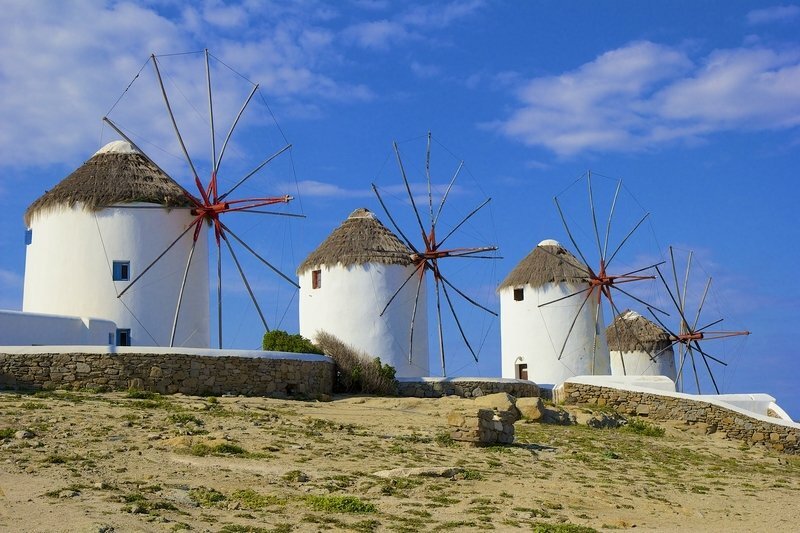 Lose yourself in the winding streets and wander to the famous windmills. Mykonos is known for its lively beach clubs, including the like the Buddha Bar! We then ferry to the island of Delos, the birthplace of Apollo and once the center of the ancient world. 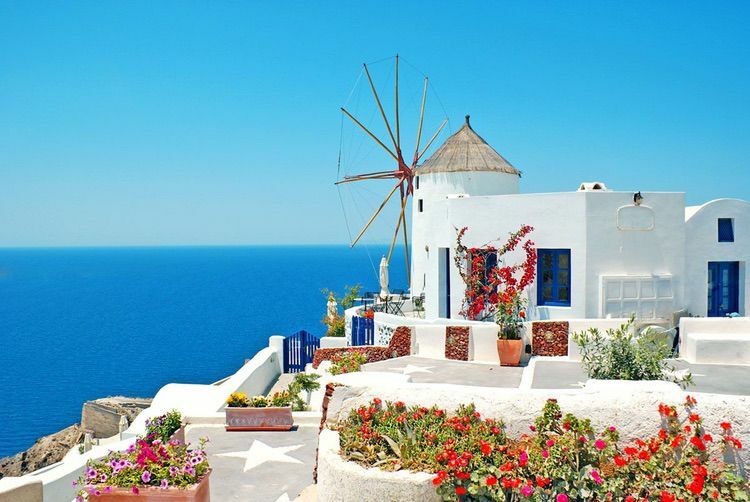 Breath-taking Santorini lures us next. Legend has it as the Lost City of Atlantis, which emerged from the Aegean following a volcanic eruption. We’ll spend 3 glorious days here in the lap of luxury! 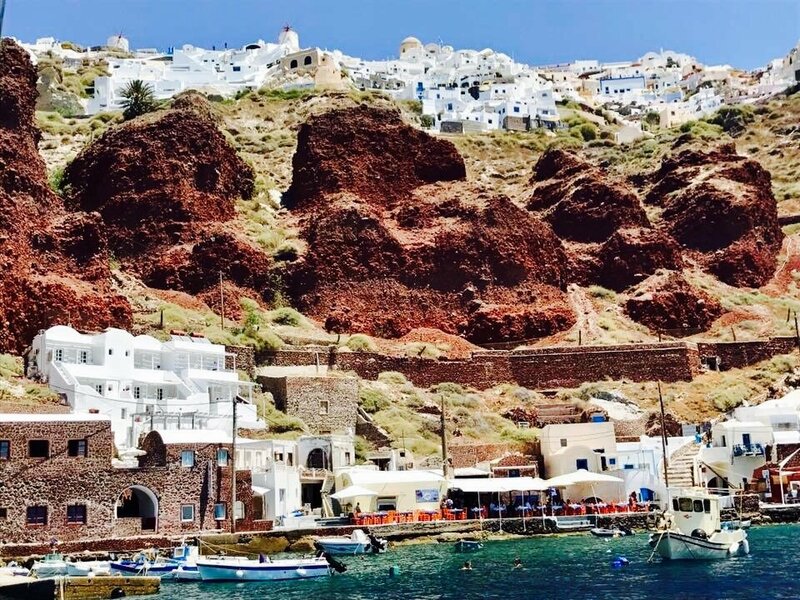 Climb the caldera, bathe the warm sea with its unique beaches, soak in hot springs, view wineries and archeological ruins. 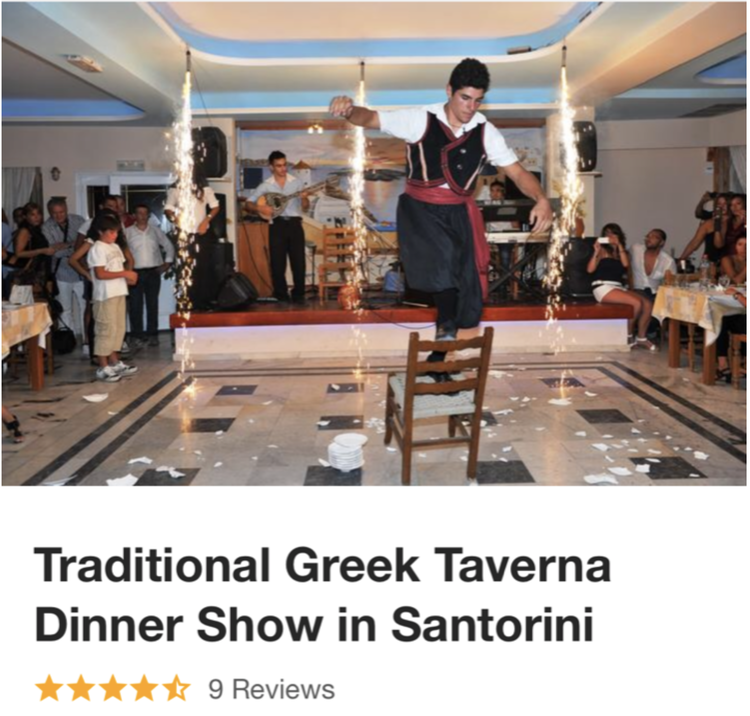 We’ll drink in the culture in a true Greek evening of food, music, dance and of course some plate smashing. 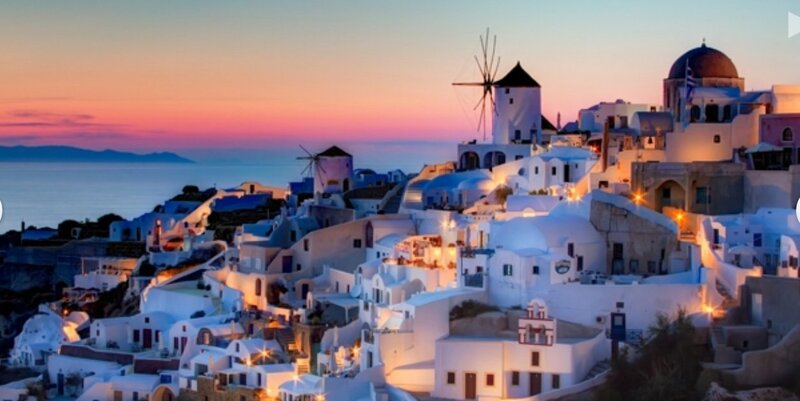 And, we enjoy a Catamaran Sunset Cruise over to Oia, considered the most romantic spot on earth. 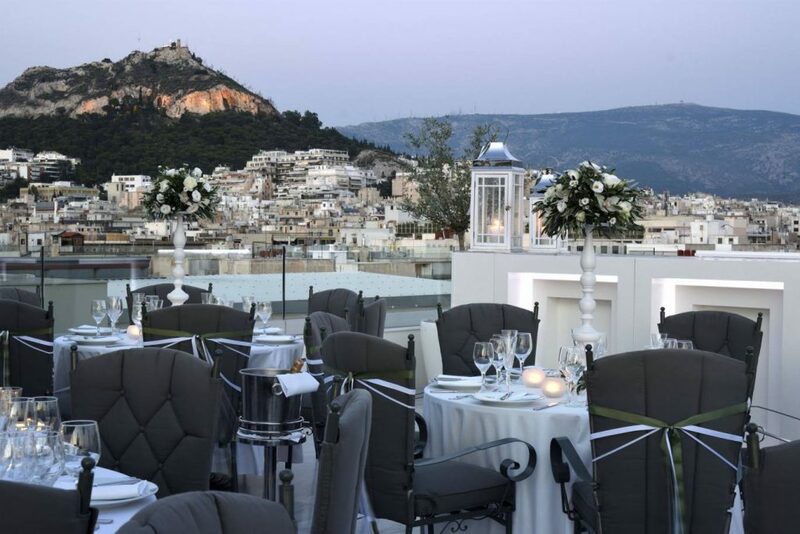 Last is my favorite, Cape Sounion – the southernmost tip of Greece and one of the country’s most photographed spots – the Temple of Poseidon, perched high on sea cliffs for amazing panorama for your best selfies ever. 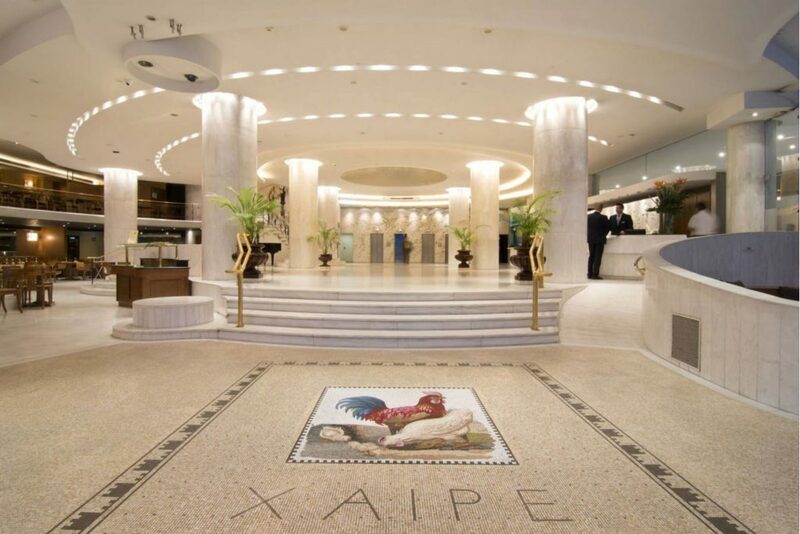 You’ll love our hotel and our excellent group air rates available. 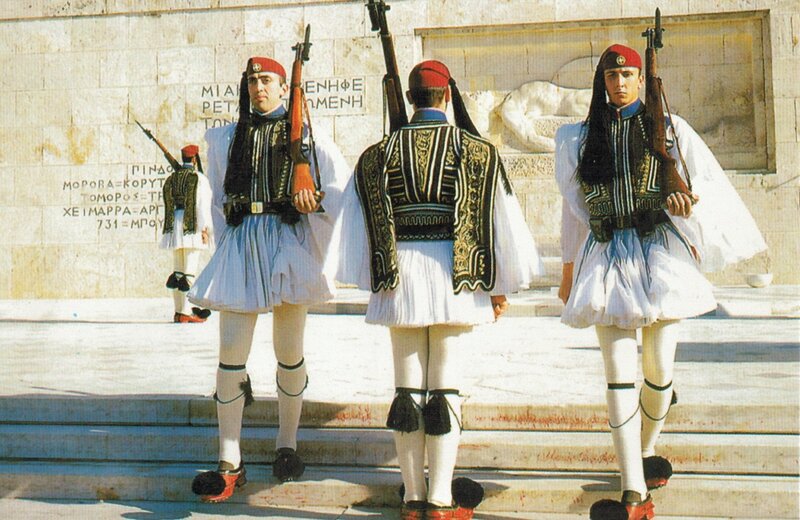 If this is your first time to Greece, you may want to go in early. 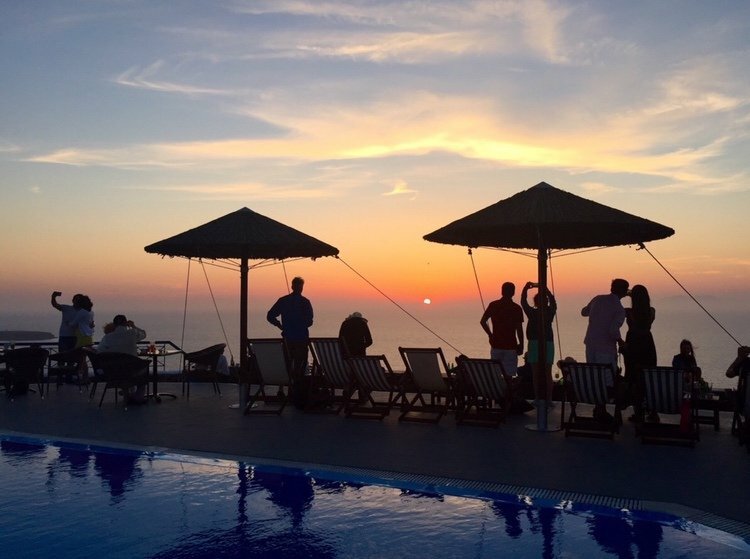 If you’ve been before, I promise you’ve never experienced Greece like this. 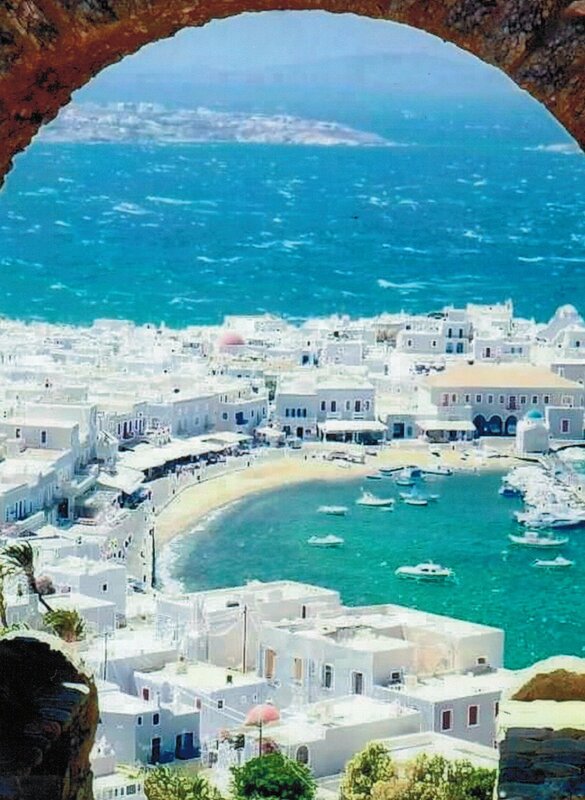 Wave to the hoards to cruise passengers and allow yourself time to truly savor the treasures of Greece in a way that will have you wanting to return again and again. 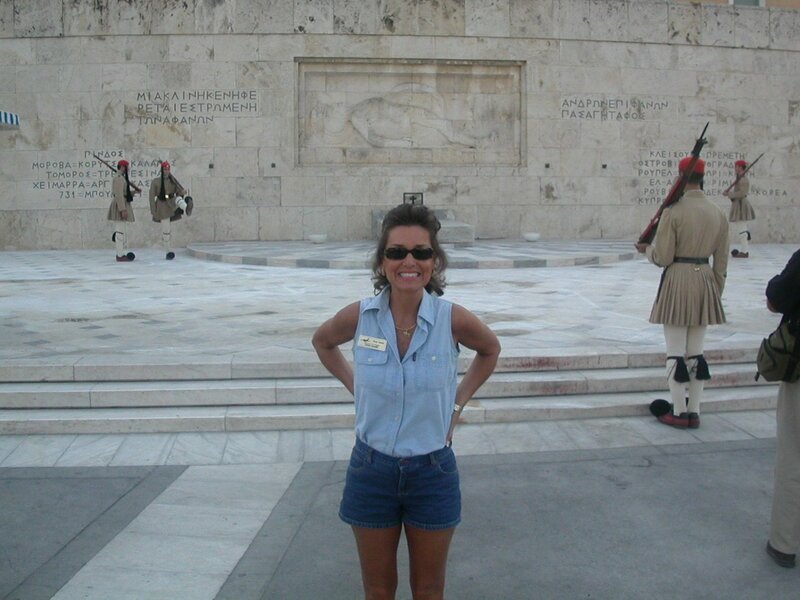 June 14 – Depart USA to Athens. Group air details will be emailed in AFS Trip Tips. 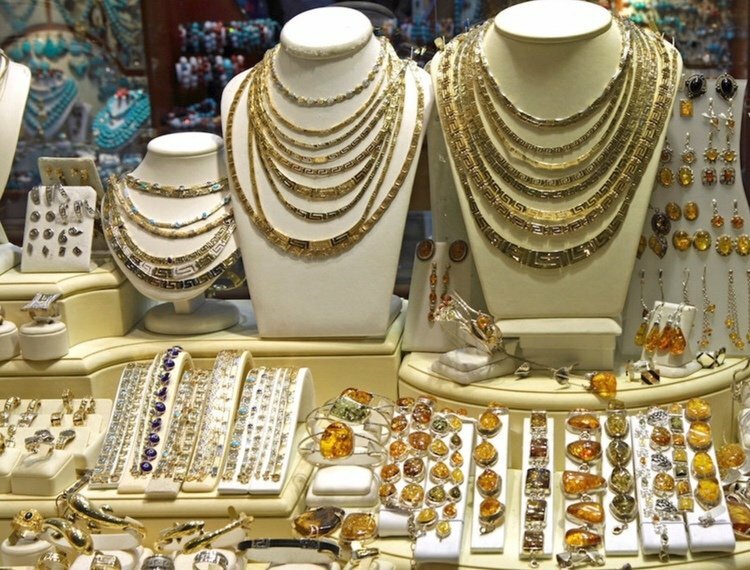 Great non-stop schedule on Emirates or arrange your own and add a stopover someplace on own. 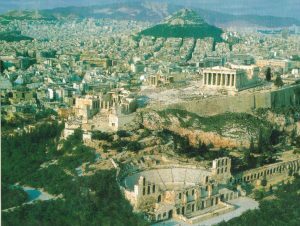 After breakfast, we set out to see Athens and witness the striking contrasts between the capital of Classic Greece and a cosmopolitan city! 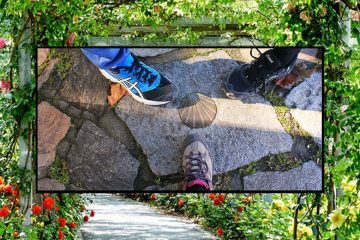 We start with the panoramic tour – taking in all of those iconic locations you have longed to visit. 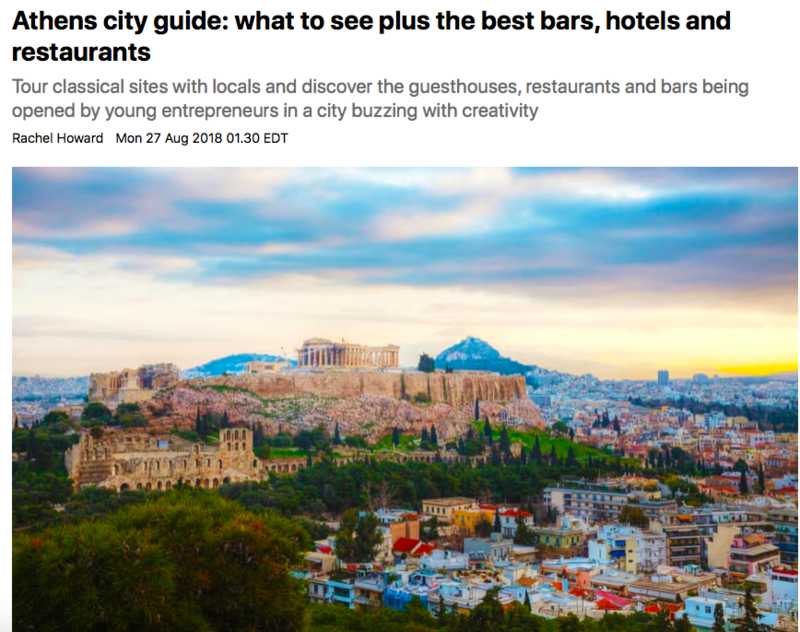 We will pass the Panathenaic Stadium, the Temple of Zeus, Adrian’s Arch, as well as the 3 neoclassical buildings of the Academy, University and National Library. Nothing is more fun than witnessing the spectacle at Parliament during the pomp at the changing of the guards with their traditional costume. Up next? 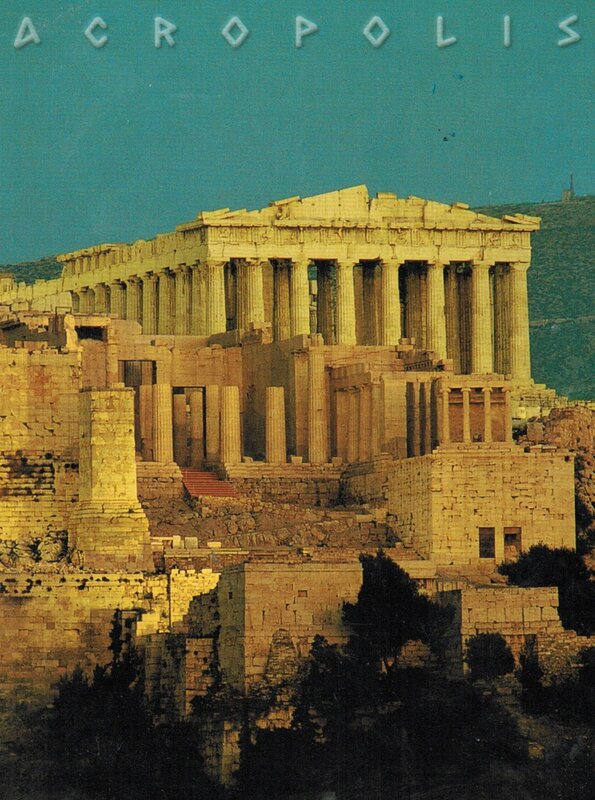 We climb to the site that is the undisputed symbol of Greece – the Acropolis. High above all Athens, we will walk where the ancients did – visiting the numerous temples here. 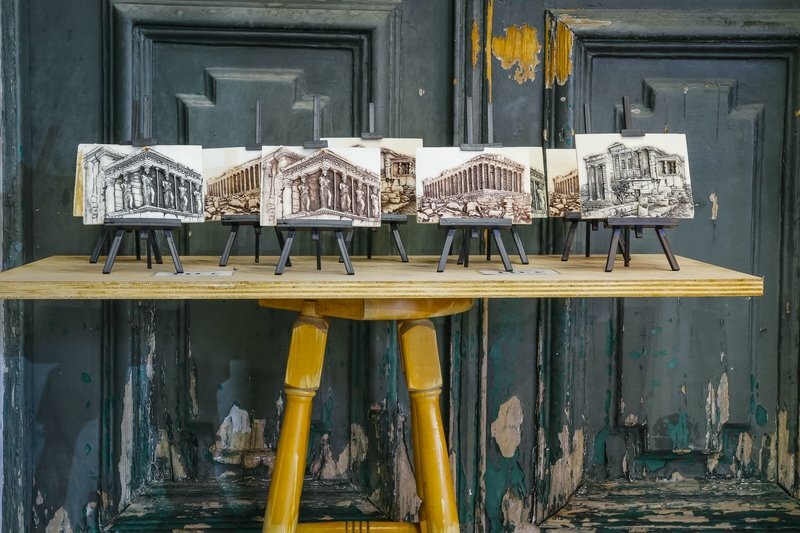 There is the amazing Parthenon, the Temple of Athena Nike, the Propylaea and the spectacular Erechtheion, with its beautiful columns of the Cariatides. 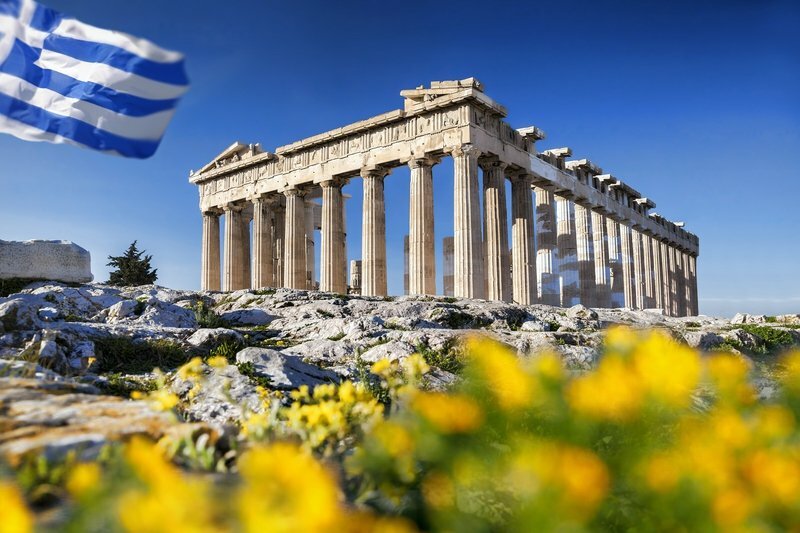 We wrap up our day by visiting the new museum of the Acropolis where countless artifacts will help you travel in back in time to the days of the ancient Greeks. We’ll return to the hotel for a free evening. 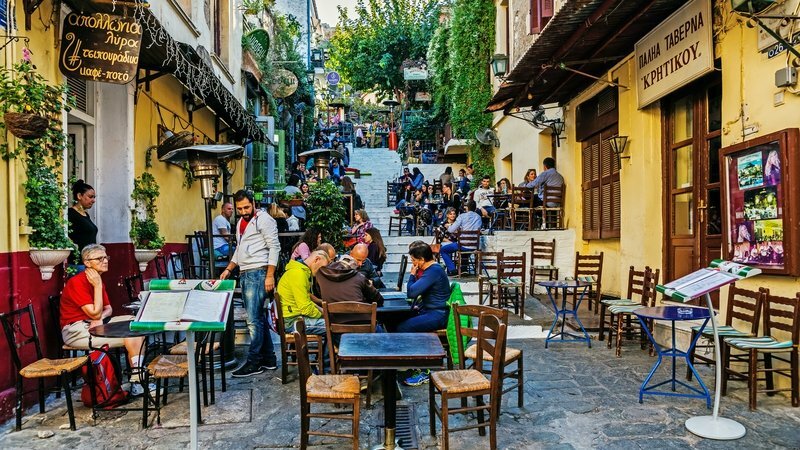 Our guide will direct you to the fab Plaka area which comes to life each night with endless fun. Early morning, we make our way to the busy port of Piraeus to board our fast ferry to one of Greece’s most popular islands – the ever inspiring Mykonos. The journey takes under 3 hours and is simply stunning. 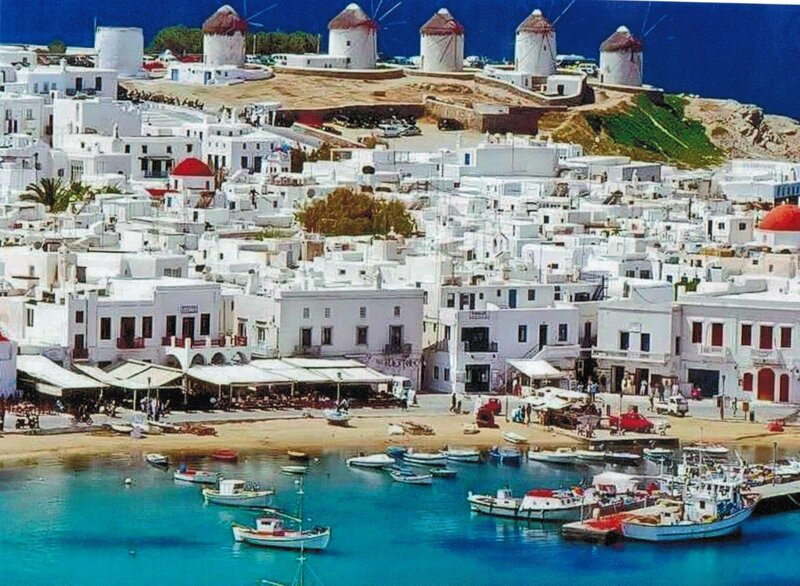 There are more than 6000 Greek isles, only 211 are inhabited. 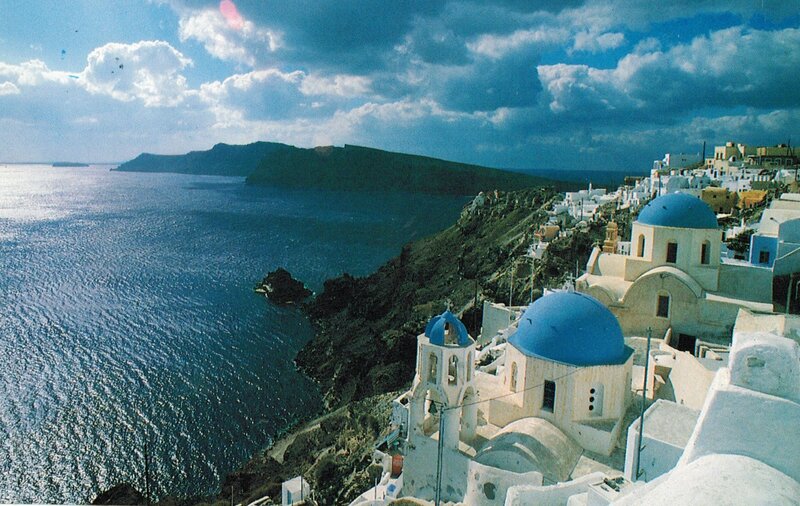 The ferry weaves its way past many of them through the azure waters of the Aegean. 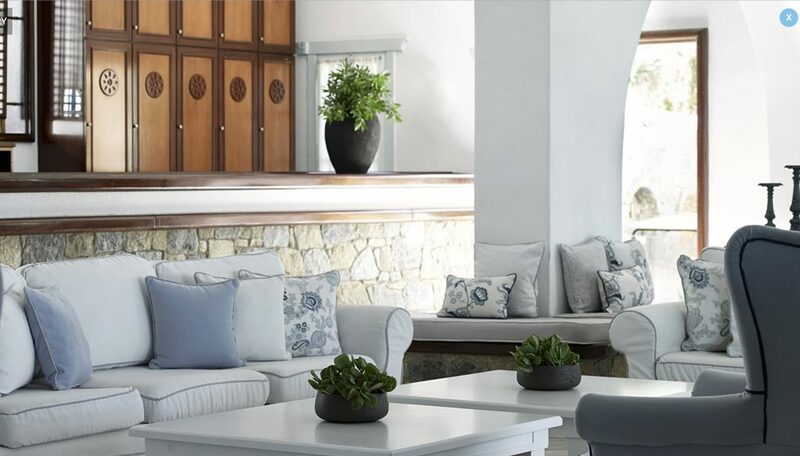 Upon arriving on Mykonos, we will go immediately to our luxury 5-star boutique resort, the San Marco, built into the hill overlooking a tranquil bay on the waterfront. This heavenly beach resort includes a spa, two pools with pool bars, restaurants, free shuttle and wifi and some of the most spectacular views in all of the islands. 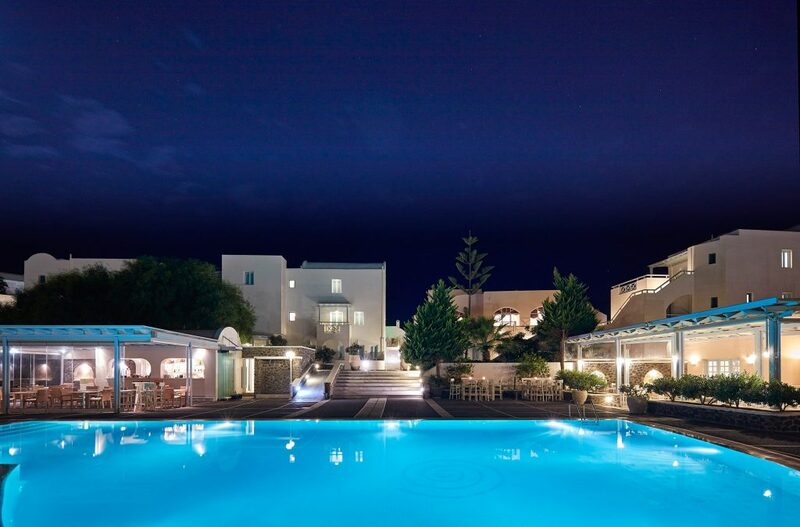 Your evening is free to enjoy all that this incredible resort offers or venture into town. So much to do here like snorkeling, diving, sea kayaks, jeep tours and more. Getting lost in the tiny alleyways is my best pleasure. Every turn provides a photo! 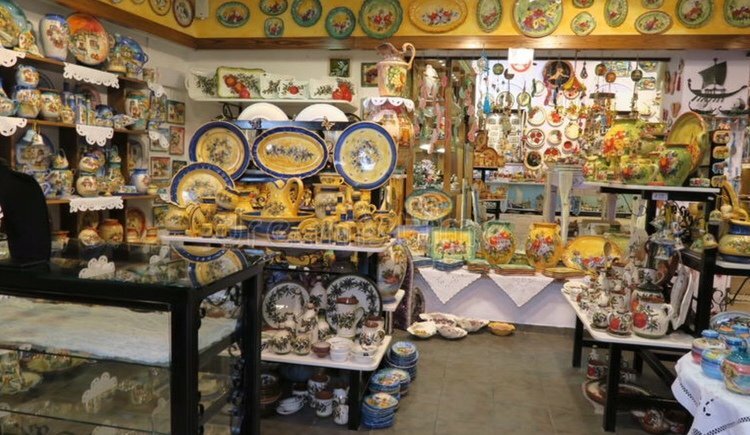 After dinner, join our Walking Tour in Hora and neighborhood of Little Venice, known for its artists and cool cafes. Learn about the history, what’s hot and what’s not. 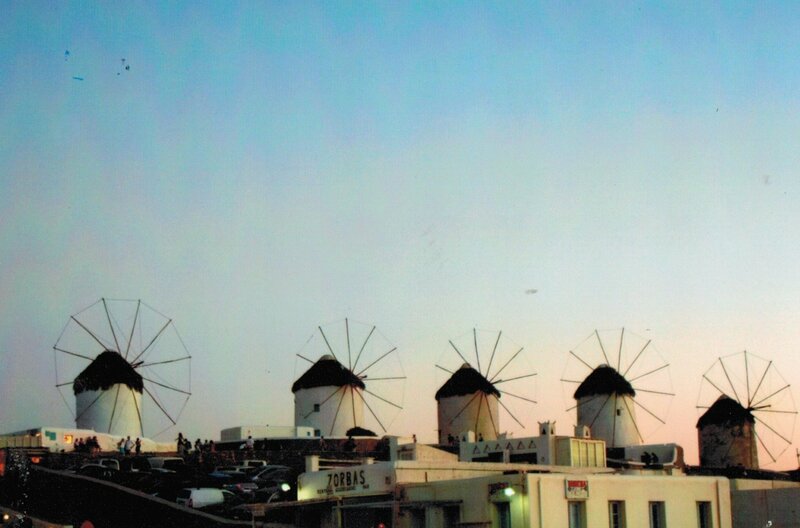 Mykonos draws a mix of hedonistic visitors and evenings are always large fun. Be sure to visit the new beach clubs like Super Paradise or Kalafafi to meet the locals. This island never sleeps. 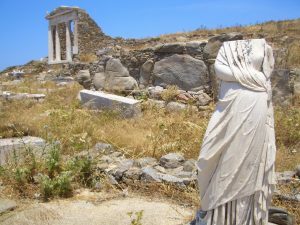 After buffet breakfast, board an hour ferry to Delos, “Island of Light”, once the capital of the Cyclades ancient world. 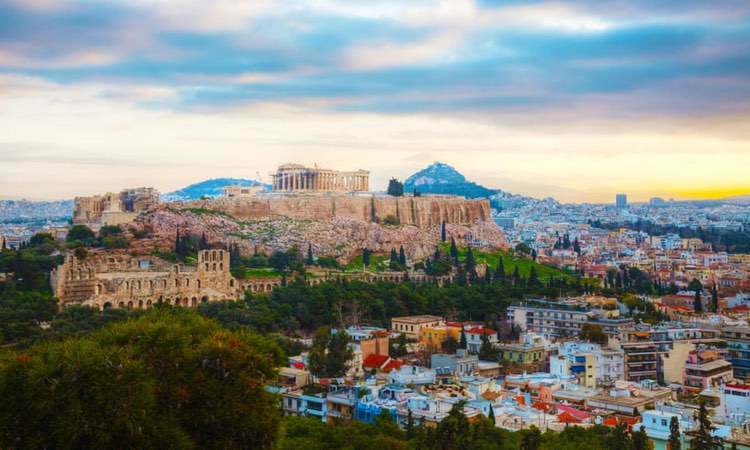 It’s the first multicultural civilization for trade and birthplace of Apollon that was inhabited 2500 to 69 BC. 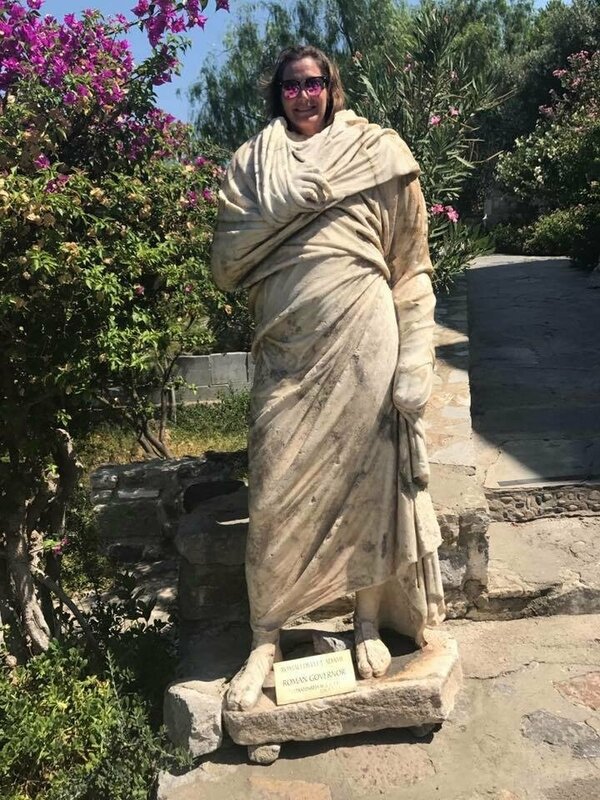 So many treasures…the ancient market of Agora, famous terrace of Naxos Lions, Holy Lake, the Dolphin mosaics, the Theater and ancient houses. See Temple of Isis (Egyptian goddess), the Roman Water System and great museum with its amazing excavated artifacts. 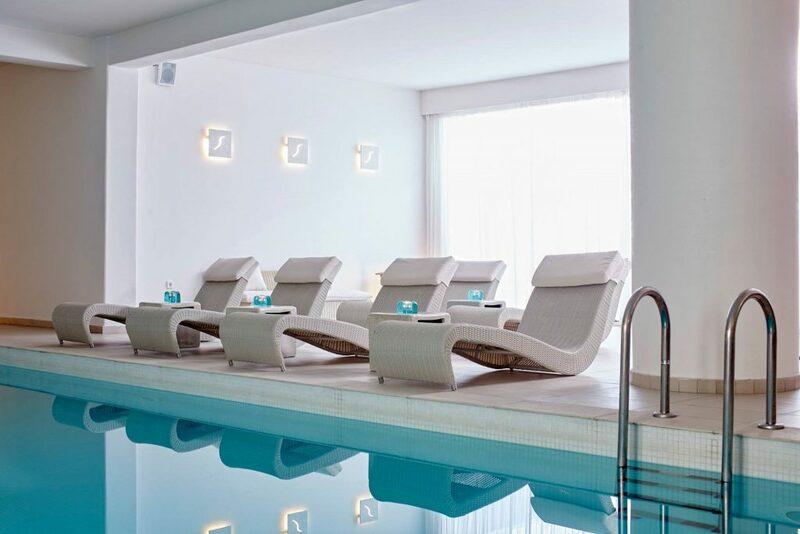 Return around 4-5 PM for more free time in Mykonos. 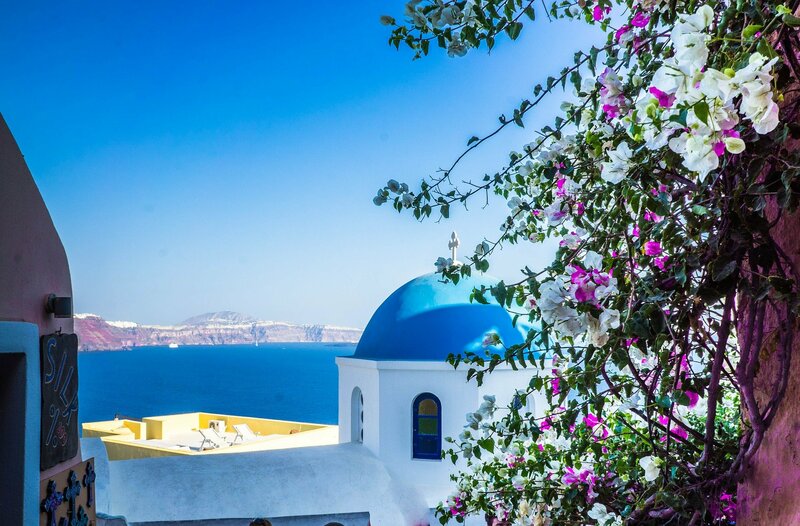 Santorini is no secret. It’s like a slice of layer cake with its soaring cliffs spilling into the sea and crowned by the caldera. 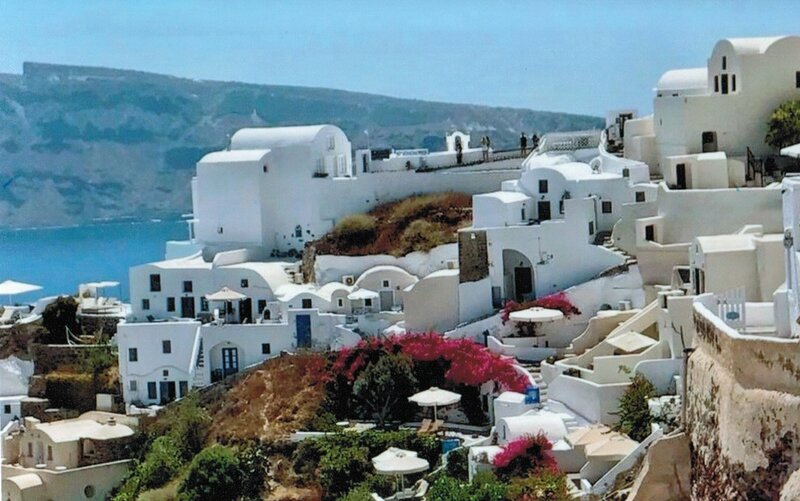 The icing is the whitewashed houses perched on terraces. 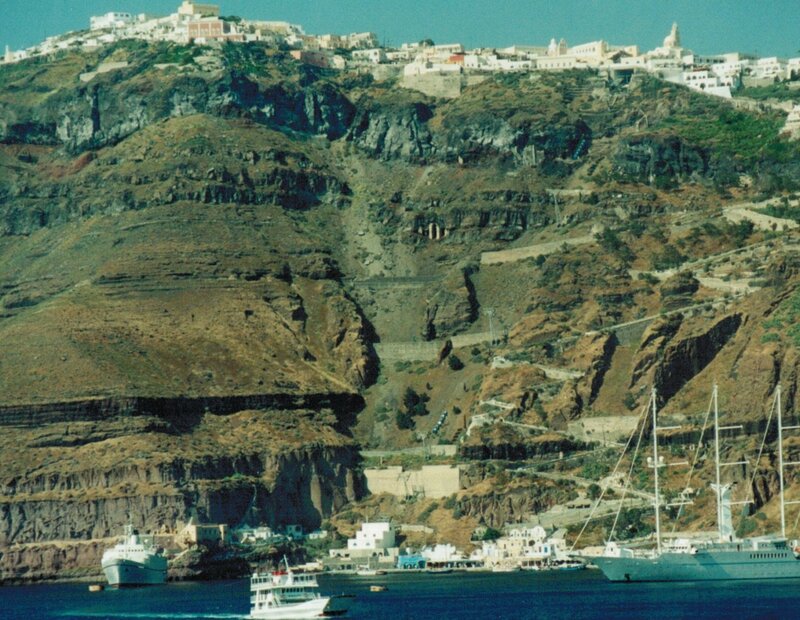 Our morning is free, but in the early afternoon, we head back to port to board a hydrofoil to Santorini. This fast ferry ride will zip us over in just more than two hours. 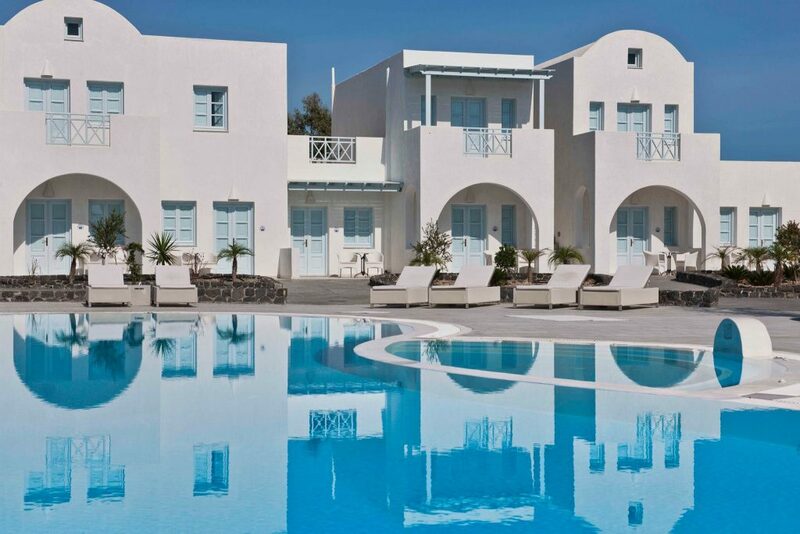 We’ll arrive in Santorini late afternoon and go immediately to our stunning White resort! 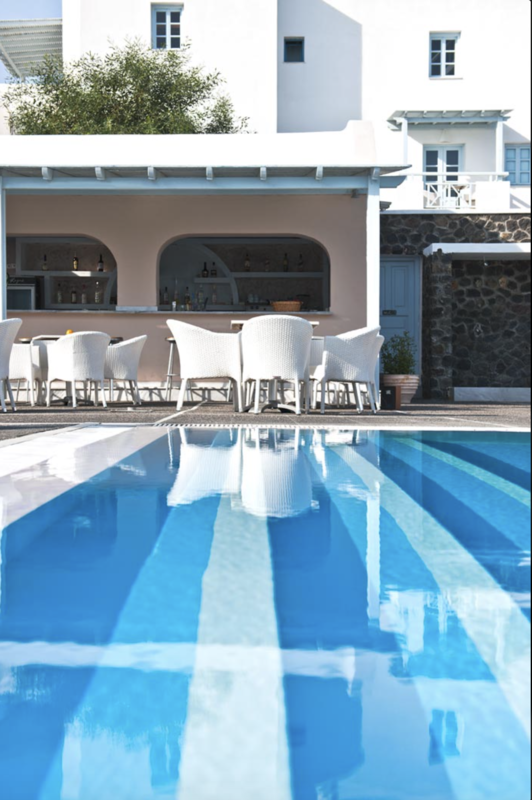 The EL Greco is located at the center of the island, in the capital of Fira with not one, but 5 pools and a world-class spa. 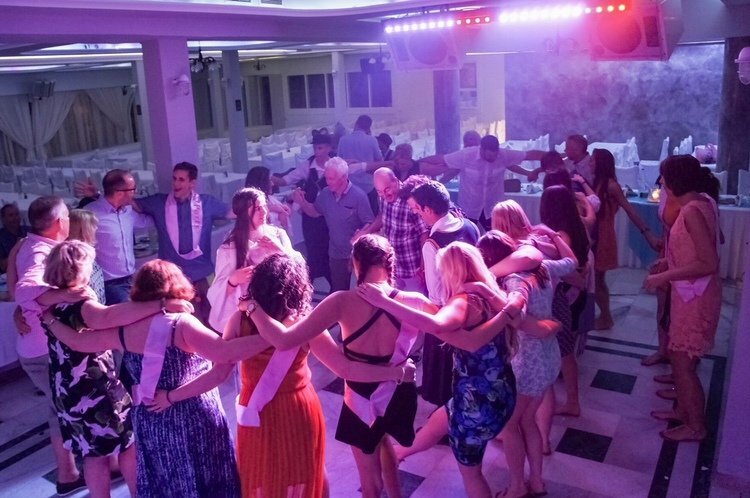 You’ll have time to freshen up before we head out for some serious fun, Greek Style! 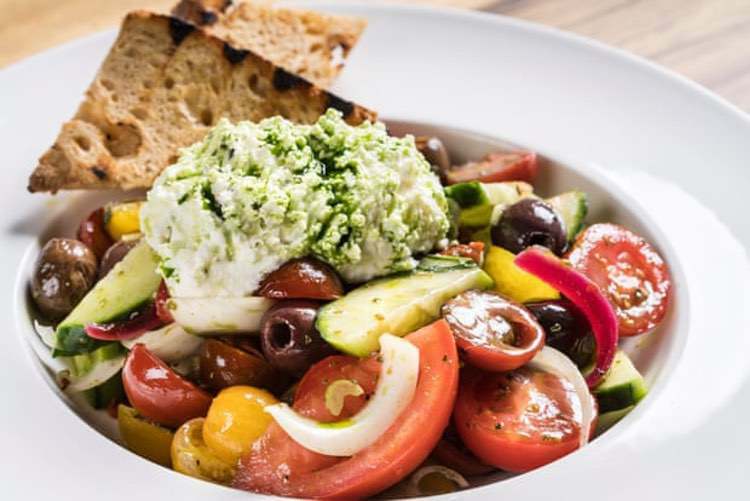 Our taverna will host an AFS feast of scrumptious Greek food like souvlaki, moussaka, tzatziki and ntolmadaki while enjoying unlimited beer and wine. When the music starts, be prepared to join in with traditional folk songs, dances and a bit of plate smashing! Oopa! The orange glowing sunsets are spectacular here. 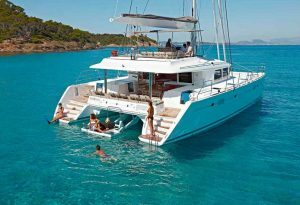 In the afternoon, we board our private ocean voyager catamaran for a five-hour sunset dinner cruise around the Santorini caldera. This amazing experience allows you to truly enjoy the region from sea level as we sail around the famous volcano rim. 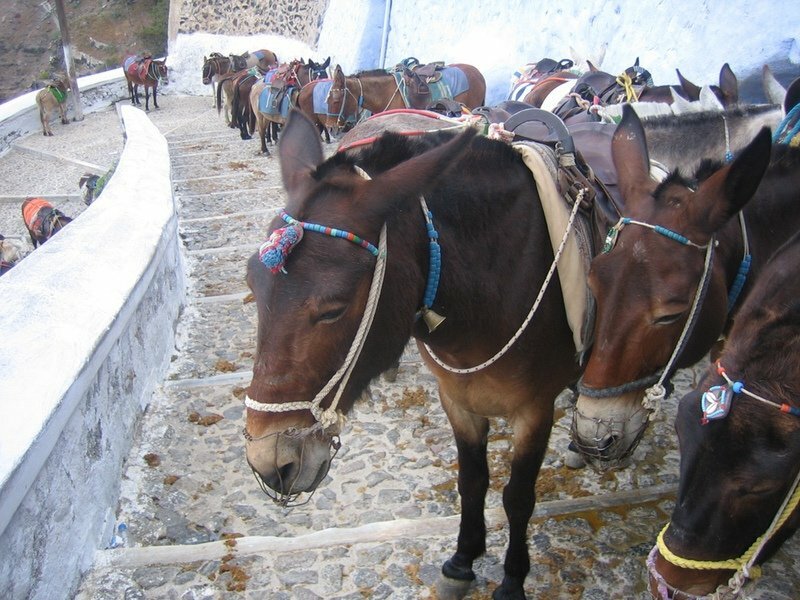 The journey takes us by the islands of Aspronisi and Thirassia, the village of Akrotiri, the Ancient lighthouse, and Indian Rock. There will even be the opportunity to go swimming in the gorgeous blue waters as the crew prepares a delicious barbeque with wine included. 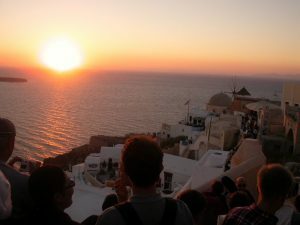 See the fabulous village of Oia where hundreds gather to see the sunset. Our morning is free to enjoy your last bit of island time and there are so many things you can do. If you haven’t had enough beach time, you have the red beach, the white beach or even the black beach from which to choose. The scenic, cliff-side town of Oria which we saw on yesterday’s sail, is worth a look-see, or you could visit one of the many wineries located near Oria. 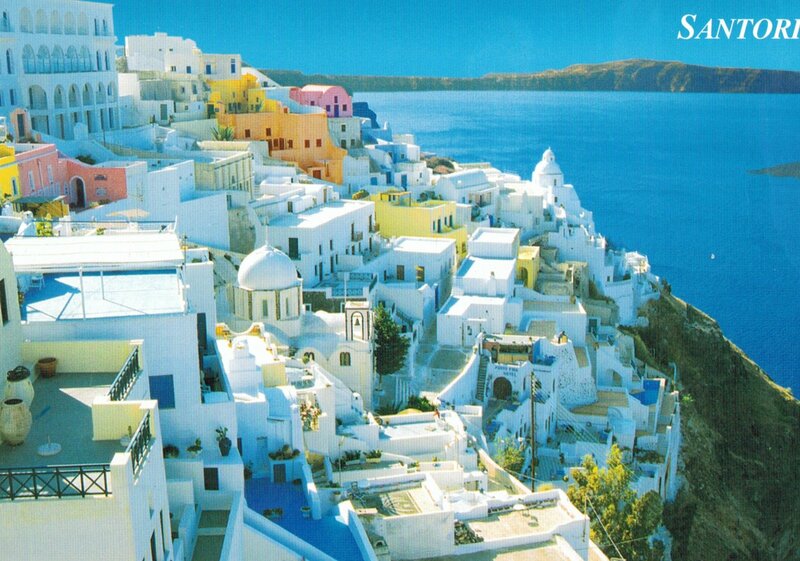 In the afternoon, we will make our way to the Santorini airport for our flight back to Athens. 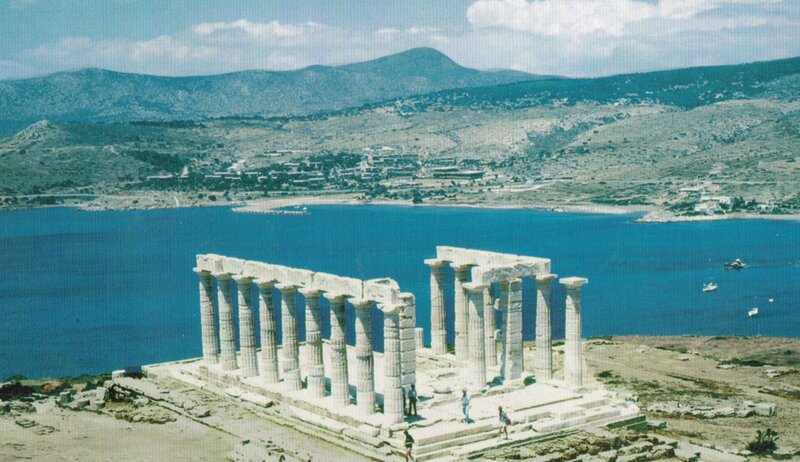 After landing, we’ll head away from the city to the southernmost part of the mainland of Greece, Cape Sounion. 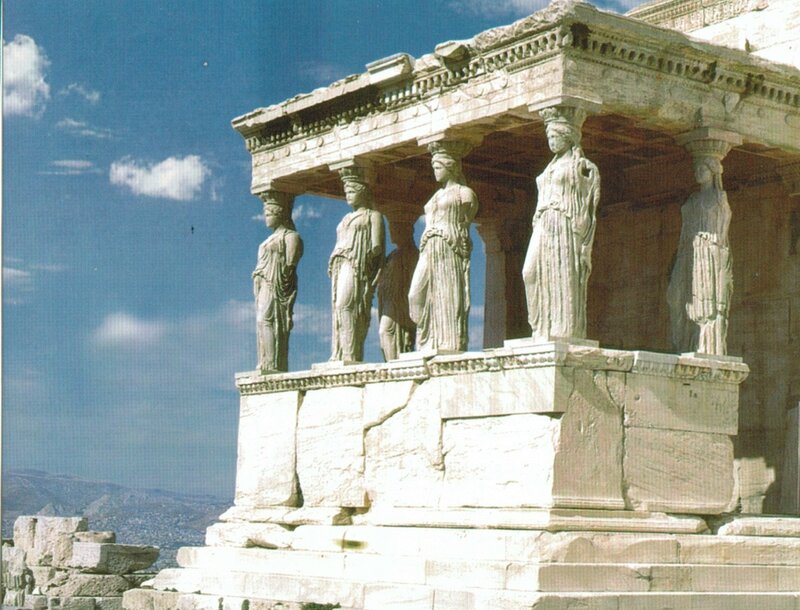 Here, we will visit the 6thcentury Temple of Poseidon. Located high on a rocky outcropping, the archaeological site not only provides Insight into the world of the ancient Greeks, it provides an amazing panorama of the Aegean Sea. 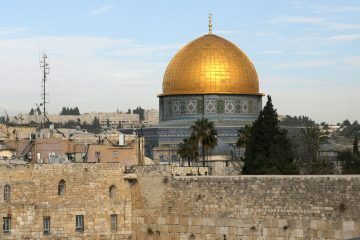 It provides some of the most photographed views of the entire trip. We’ll be back in Athens in the early evening. Depart for airport for connecting flights home. Transfer provided for group air. 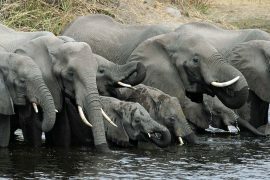 Includes: All tours, entrance fees, meals stated above. Great English speaking guide who knows every inch of these islands, AFS Trip leader, High-Speed Ferry tickets, internal flight back to Athens.